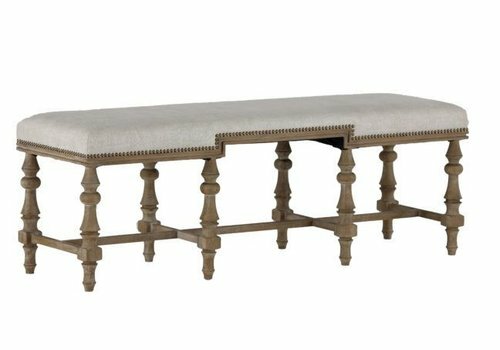 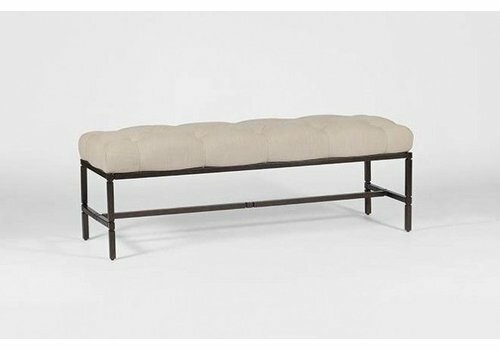 The perfect addition to the foot of the bed or alongside a dining table, the Farrington Bench features beautiful burnished oak turned legs and linen dove fabric. Versatile and well tailored. 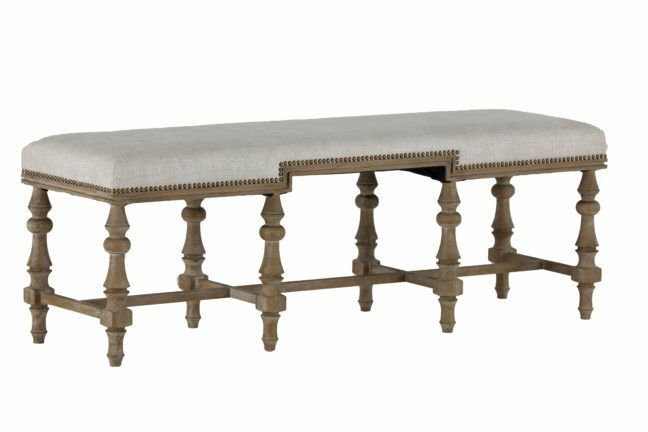 Well suited to be used as additional seating, a cocktail table, or bench at the end of a bed. The Joseph Bench boasts a lovely tufted linen cushion on a dark iron frame. 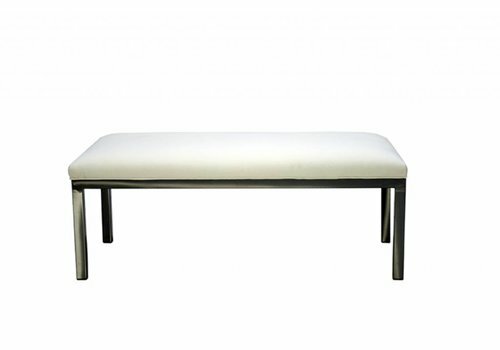 The iron features unique notches where each bar meets and in the center of the stretcher.